Animation Gallery - Stofka Creative Ltd. 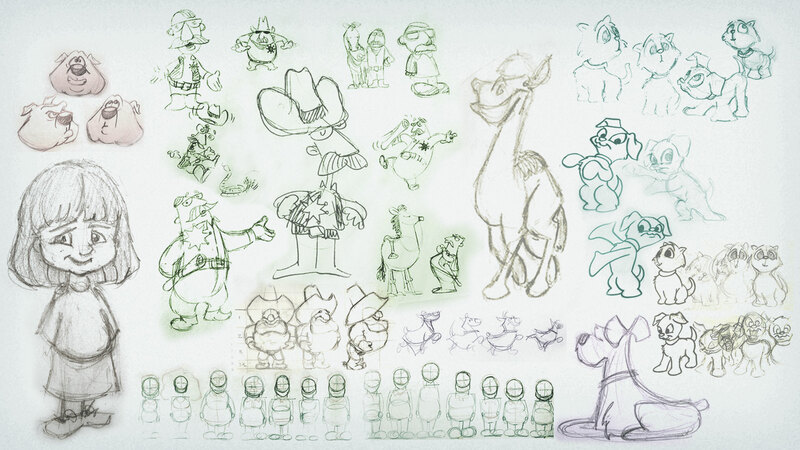 Here I invite you not only to watch some of my favorite animation projects but to explore some of the development that goes into the finished product. 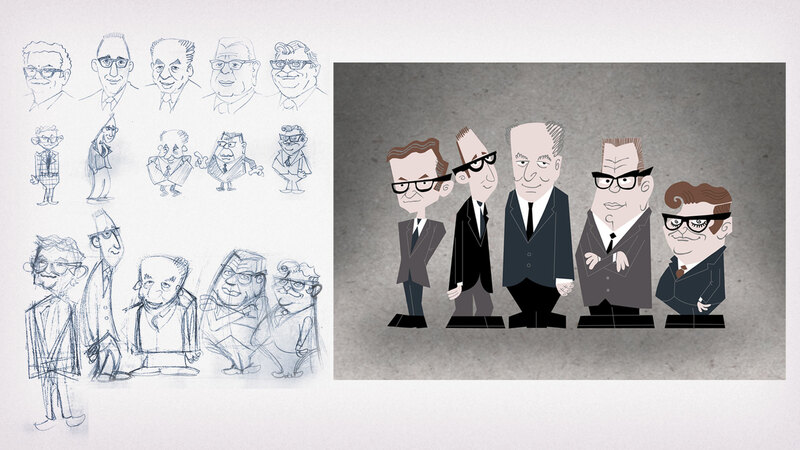 This is a sampling of my most favorite animation projects my clients have provided me the opportunity to produce. I hope they give you an idea of the range of approaches that can be used to tell your story! If you’re in a hurry, watch the two-minute demo reel! 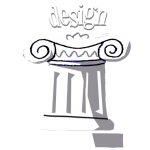 In addition to character animation, I can also provide motion graphics for the web, videos, and presentations. Below is a montage of past work. 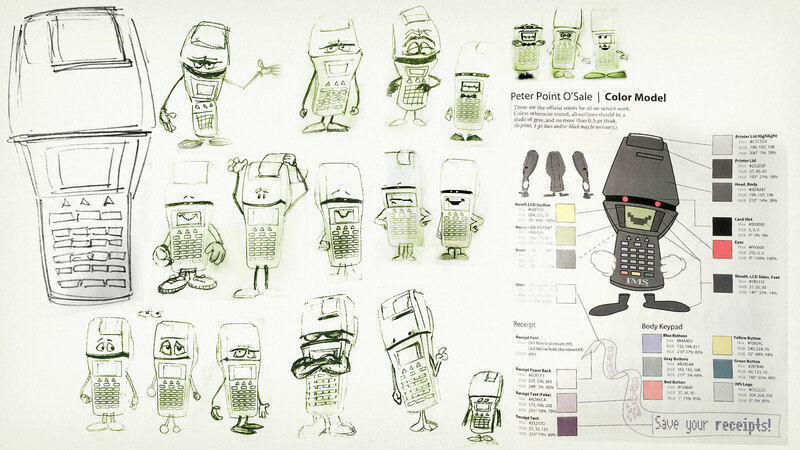 While the tools for final rendering and animation have become exceedingly more sophisticated, character design still begins with technology that’s tried and true: pencil and paper. 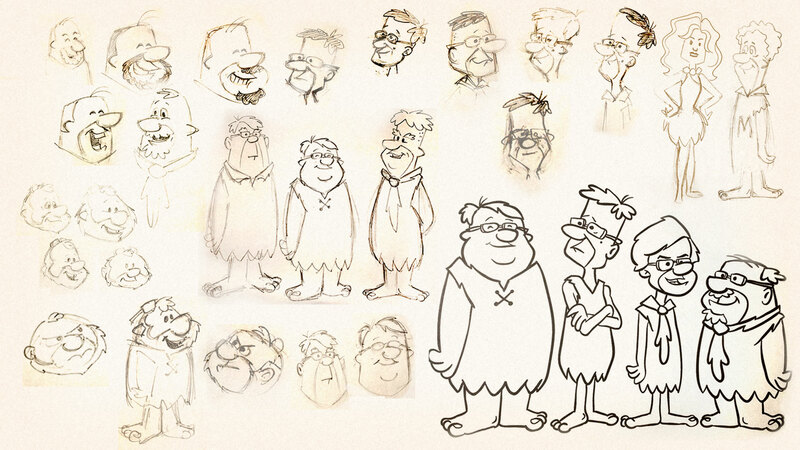 The rough sketches compiled below illustrate the iterative artistic process of cartoon character design. 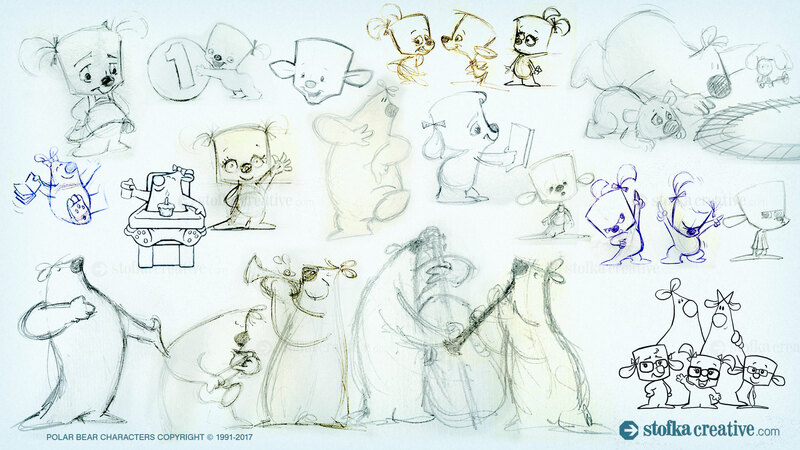 Cartoon polar bear family, Stofka Creative Ltd. 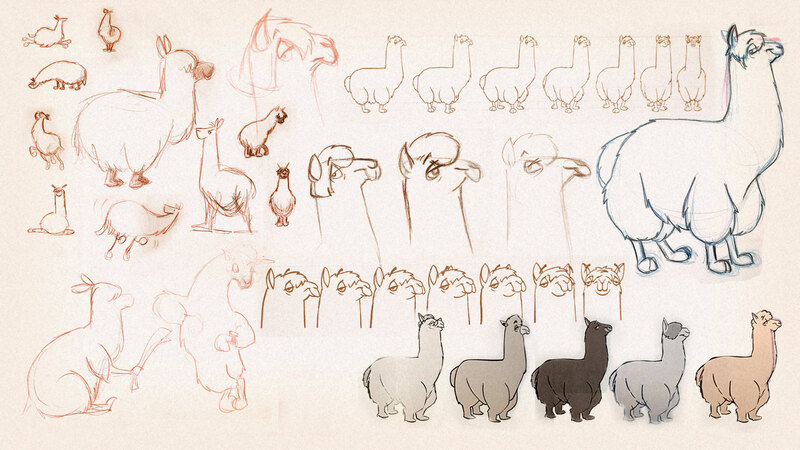 Character design, cartoon alpaca. 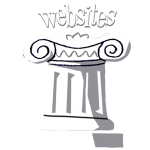 Client: AlpacaWebsites.com. 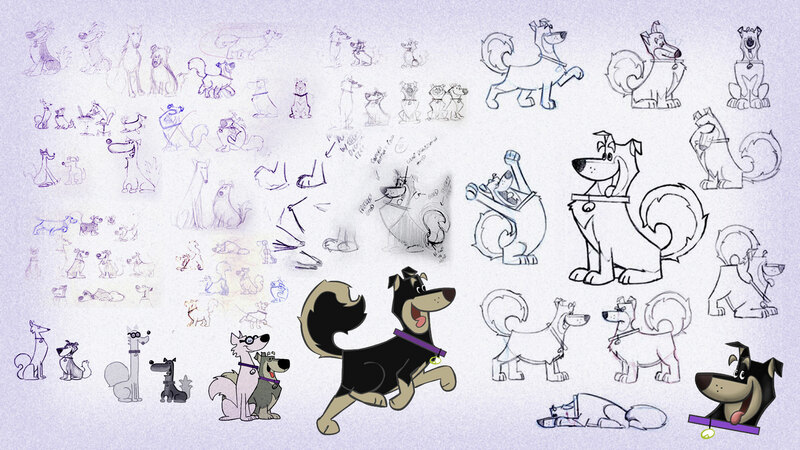 Character design ("Mojo"). Client: Action Based Research. One of the most underrated aspects of animated cartoons is the background artwork that appears behind the characters. Not only do they represent the “physical space” that the characters inhabit, but they serve to set the mood and support the graphic style for the piece. Below are some of the background elements I have created for vaious projects. 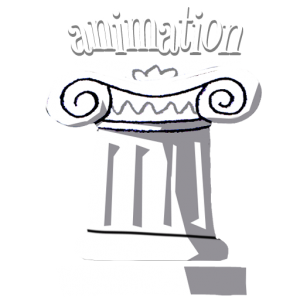 Get a Quote for Animation! Fill out this form to get the ball bouncing!